Chic and modern, this Christmas holiday photo flat card will delight your friends and family. Easy to create your one of a kind custom holiday card with our photo and text template. Simply add your own picture and customize the text. For best results use a large or high quality photo. Not sold in stores, our designs are exclusive! Fresh and fun design stands out among the crowd. 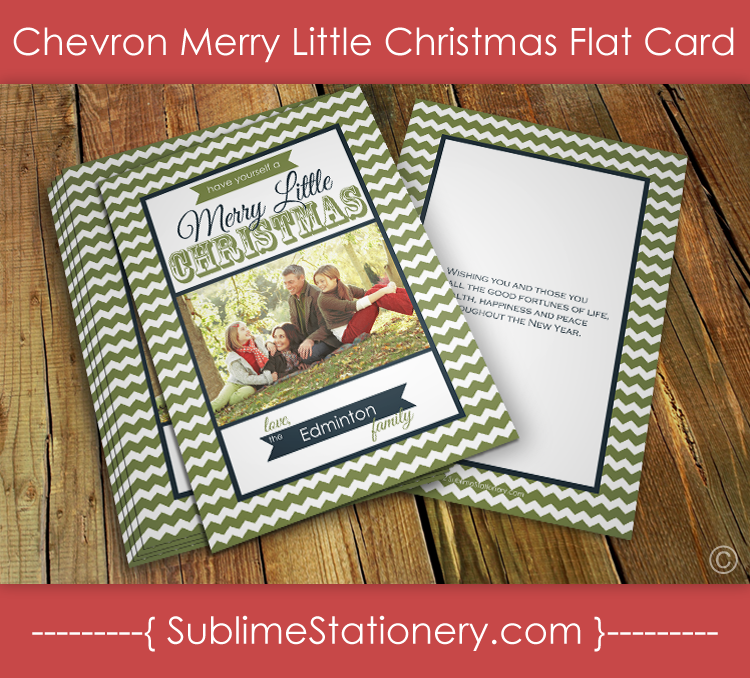 5 x 7 inches, comes complete with envelope for each card Have Yourself A Merry Little Christmas. Click on image to purchase.